Thick black polyurethane round seat acts as a shock absorber to provide comfort for long periods of sitting. Foam material inhibits punctures, tears, and moisture absorption. 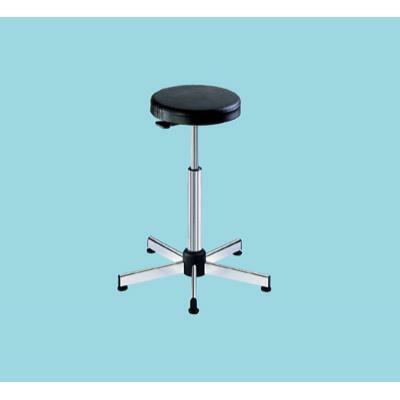 Wide 5 leg base provides easy foot movement while sitting. Center column is pneumatic for almost effortless seat adjustment. Simply pull up or push down on the lever for adjustment.